It’s no secret that Ruby on Rails (referred to as “Rails”) is hot right now. In fact, small businesses and huge corporations use it as a web framework. While some people think this is just a trend, there are lots of benefits that come with using Rails. These benefits prove it is not just a fad. It is here to stay. If you work in web development, you know how demanding the industry can be. You often have more work to do than you can handle. You can change that by using Rails as a web framework. This offers a better-structured code than other frameworks so you can get more done in less time. In addition, you have the option of reusing code with this system, so you can make changes quickly. If you’re like most web developers, you like to build a working prototype first in order to determine whether the project is feasible. This is a cinch with Rails. You can quickly get the prototype up, test it, and move forward. It is easy to get bogged down in boring tasks when developing a website. Rails makes it easy to get rid of some tasks. For instance, it takes care of your database communications so you don’t have to, and processes Ajax updates on its own. As a web developer, you want to use a framework that is as cost-effective as possible. Otherwise, your rate per hour goes down. It is easy to build and modify websites with Rails, making it a cost-effective option. It is able to accomplish this while still creating professional websites. Once you learn Rails, you will have the power to develop various types of sites. This framework works well for e-commerce, content management, and membership sites. You can also use it to create custom databases. There will be times when a website switches developers. Some frameworks make this process a nightmare, but that isn’t the case with Rails. It focuses on convention over configuration, allowing for a seamless transfer between developers. When you use Rails, you also have access to Ruby Gems. Ruby Gems include a variety of third-party libraries that you can use to get even more out of the framework. These plugins make it easy to enable various features. If you have ever used PHP, you know how easy it is to write bad code. You also know what a nightmare it is when a problem creeps up due to that bad code. Rails makes it much more difficult for bad code to pass through, which means you will spend less time cleaning up mistakes. This doesn't mean all Rails projects are well written, however the conventions in the Rails framework set developers up for properly structuring an application. Twitter, Hulu, Groupon, Basecamp, and other huge companies use Rails. If you want to get a job with a major company, it makes sense to learn how to use the same framework they are using. Rails has a thriving community that utilizes agile web development. This allows web developers to meet changing requirements. That way, developers never have to worry about outgrowing the framework. It is easy to see why so many companies are using Rails. From its flexibly to its ease of use, it is quickly becoming the most popular web framework available. 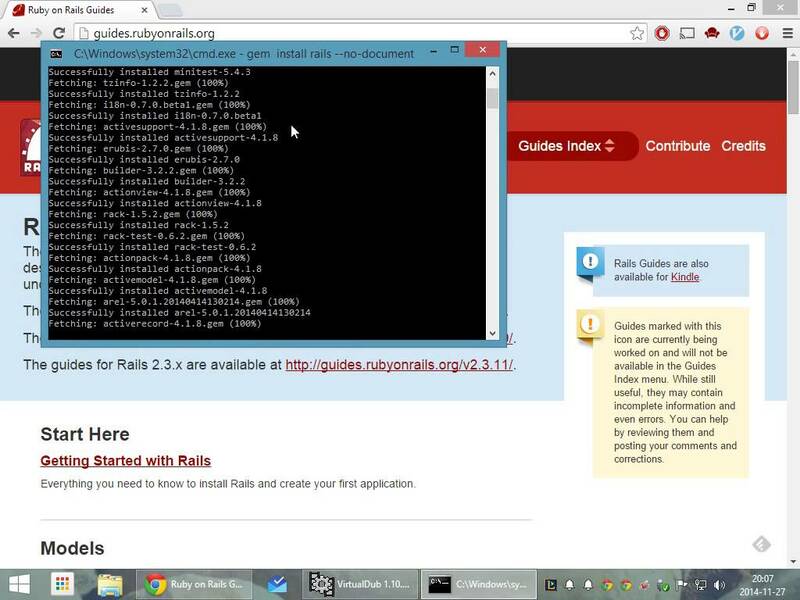 To learn how to use the Ruby on Rails framework, you can sign up for our coding bootcamp today!